In this report, we provide tips for ensuring you are running valid conversion rate optimization (CRO) tests. 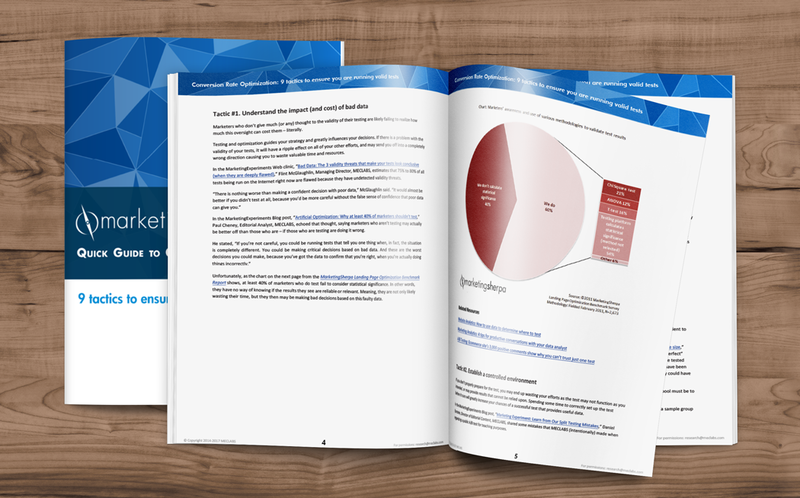 It may shock you to know that MarketingSherpa research has shown that nearly half of marketers don’t even calculate statistical significance when they test. This means they may be making major marketing and business decisions based on incomplete, or even worse, misleading data. 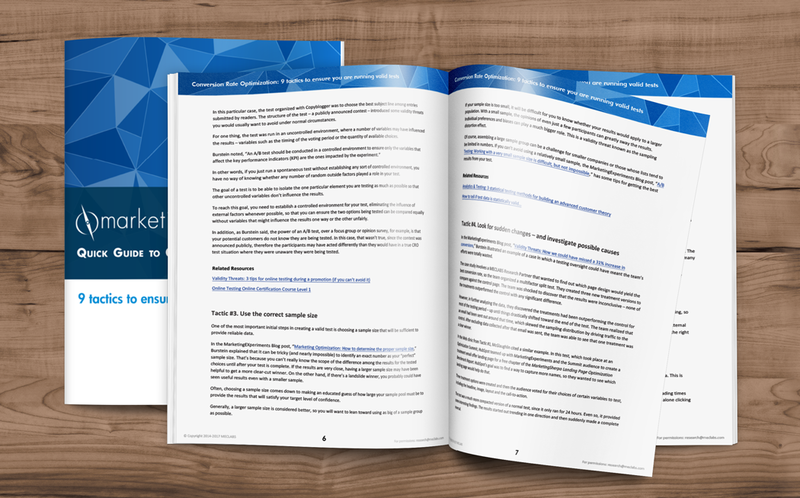 When it comes to doing accurate CRO testing, it’s not as simple as just splitting traffic between two versions of a webpage. You must be assured that the results you see represent what would happen when using your entire list and/or audience. This means you need to confirm the validity of your tests. The good news is you don’t have to be a rocket scientist to run good tests. But you do need to know some fundamentals so you can avoid a few common pitfalls that threaten or destroy the validity of CRO tests. 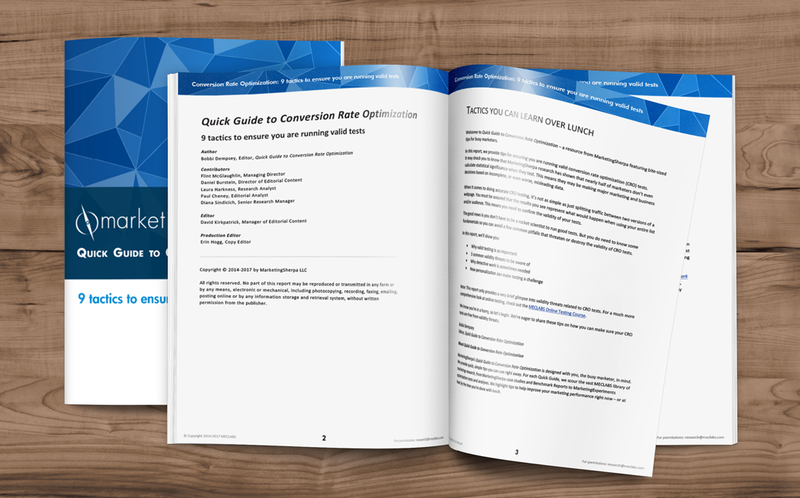 To get the Quick Guide to Conversion Rate Optimization right now, simply fill out the form, and we’ll send you an email with a link to instantly download your copy.